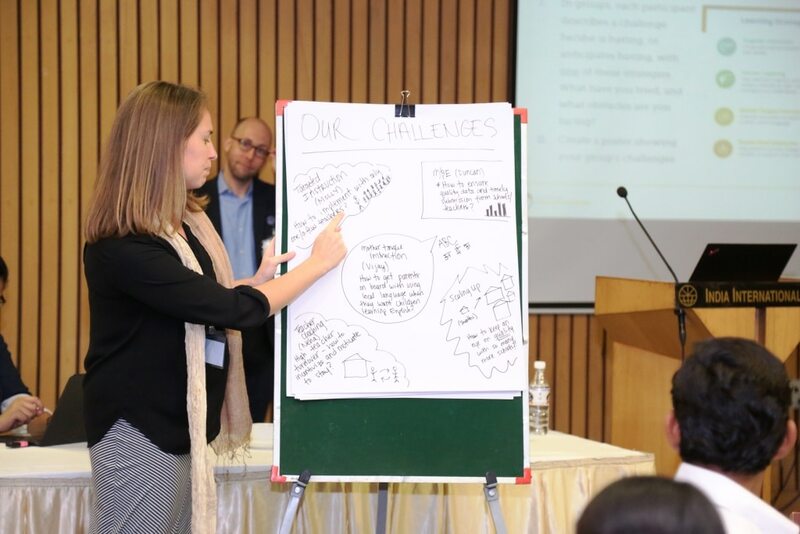 In collaboration with Catalyst Management Services, Bangalore, Centre for Education Innovation(CEI) has unveiled its Early Learning Toolkit in India. Molly J Eberhardt and Duncan McCollough, educational specialist, facilitated sessions on early learning challenges in education in the Indian context, in a hands-on workshop titled “Evidence-based Strategies to Improve Student Learning”.Both the facilitators discussed teacher coaching, mother-tongue instruction, targeted instruction and parent-child interaction to mitigate problems that plague primary education setups. This session was conducted by presenting evidence-based approaches from their toolkit. They also discussed scaling up, cost-effectiveness, monitoring and evaluation as part of program management strategies.The Early Learning Toolkit is based on rigorous evidence collected from Hewlett funded evaluations of innovative education interventions, as well as direct input from wide cross-sections of programs, that CEI is involved in.